The food we put into our bodies has a huge impact in our overall health. 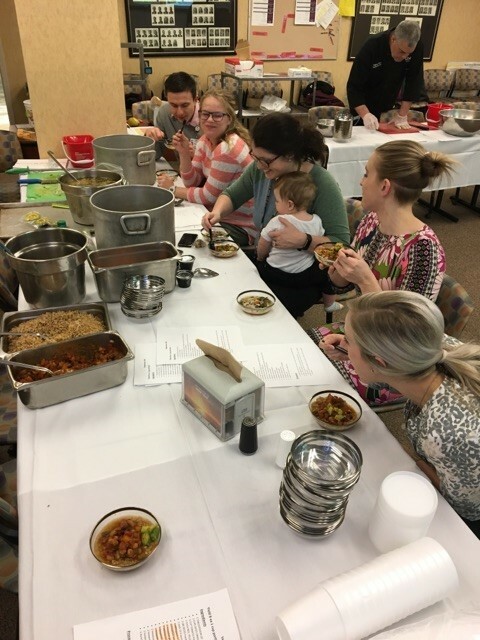 This is why the Washington Health System Family Practice spent an evening learning about culinary medicine and the event was a great success! 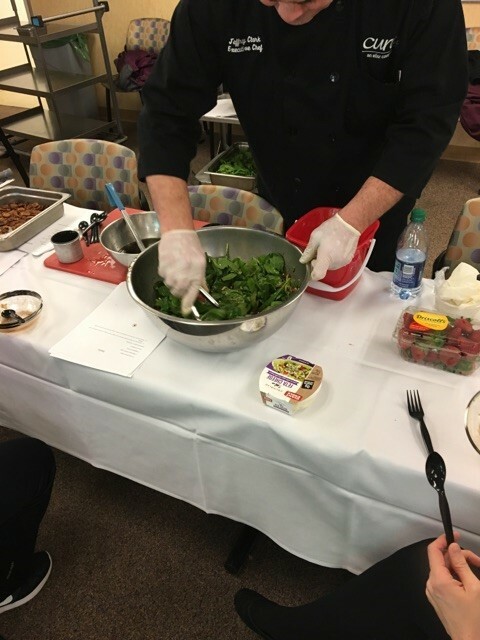 In summary, the evening consisted of a hands-on cooking demo organized by our fantastic chef in the hospital cafeteria that included a salad, vegetarian chili, soup, and dessert, all of which were low in carbohydrates for diabetic patients. While we enjoyed the food, our wonderful nutritionist provided a discussion on counseling diabetic patients in the clinic during our short office visits. The attendees all noted that they had a great time, had reduction in their stress from spending time doing a fun activity with their colleagues, learned about meal preparation and how cooking can be used as stress relief, and also noted improvement in confidence in counseling diabetic patients on their diet. The event was such a success that a second demo was planned for May as there was such positive feedback, and the budget allows it.